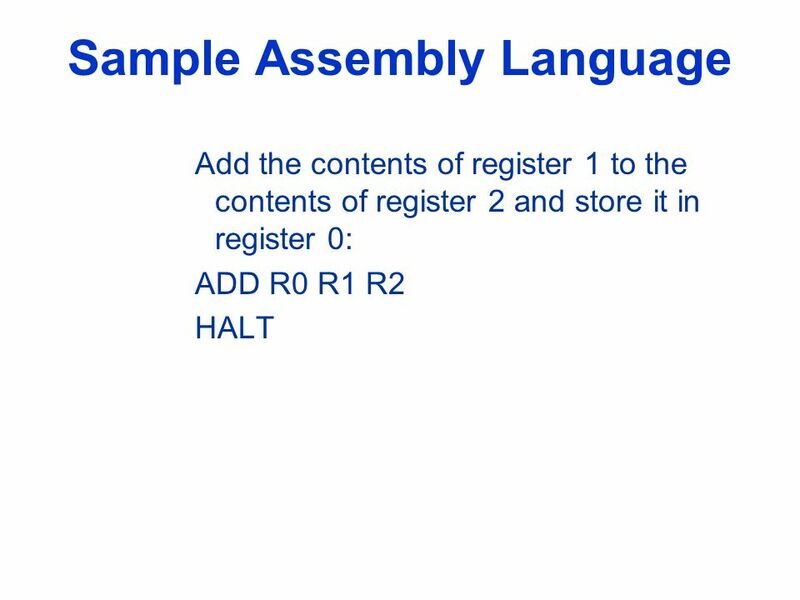 Machine & Assembly Language. 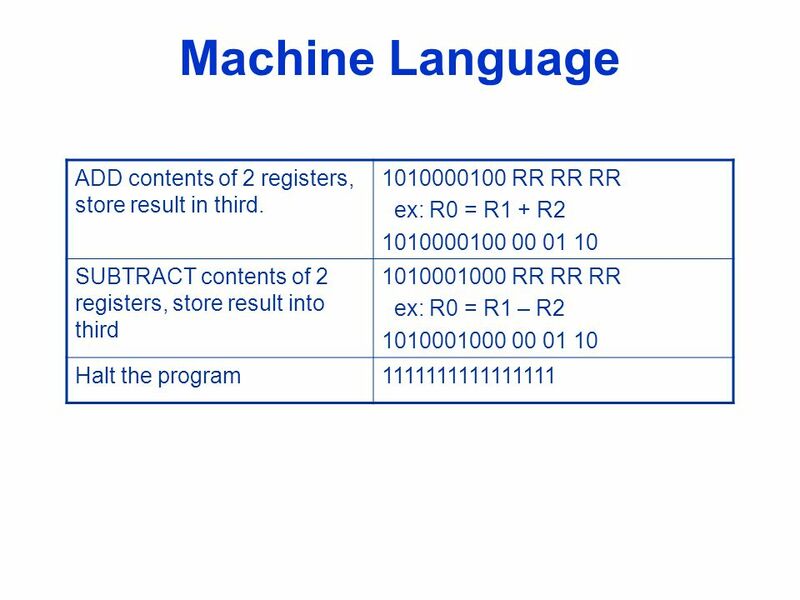 Machine Language  Computer languages cannot be read directly by the computer – they are not in binary. 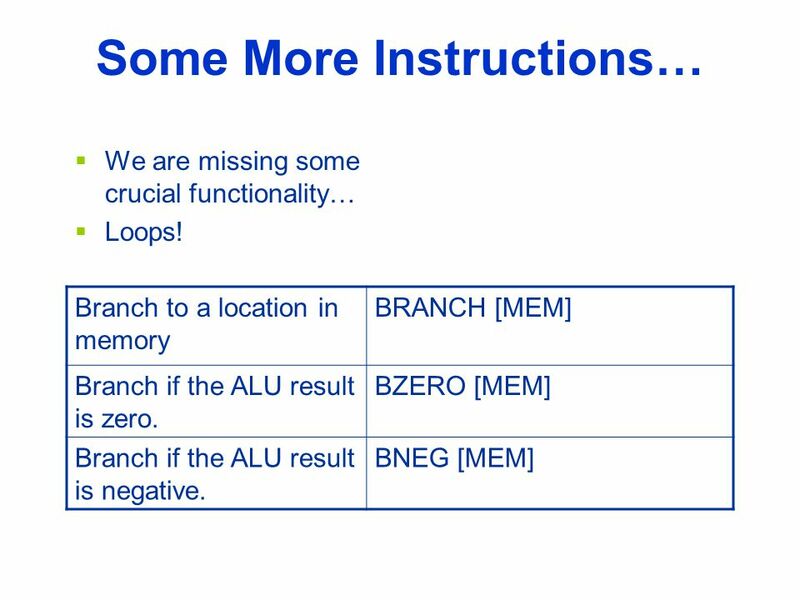  All commands need. 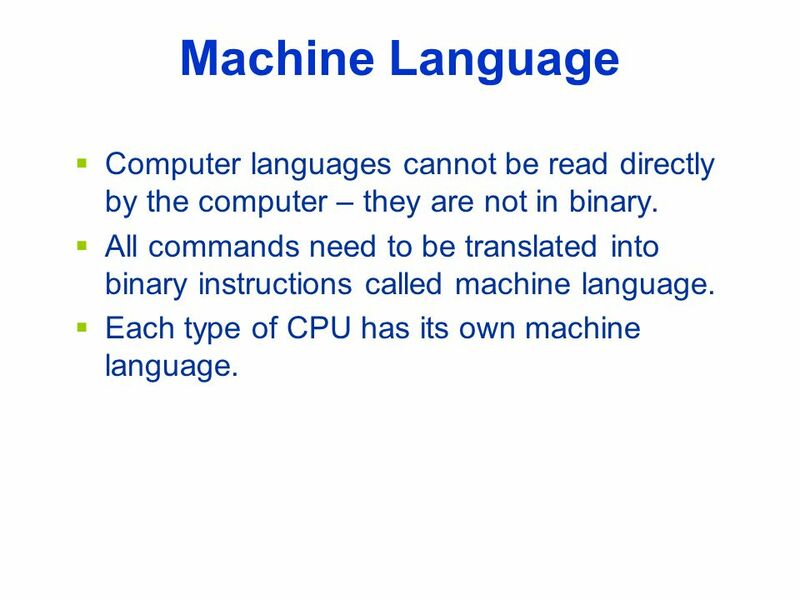 2 Machine Language  Computer languages cannot be read directly by the computer – they are not in binary. 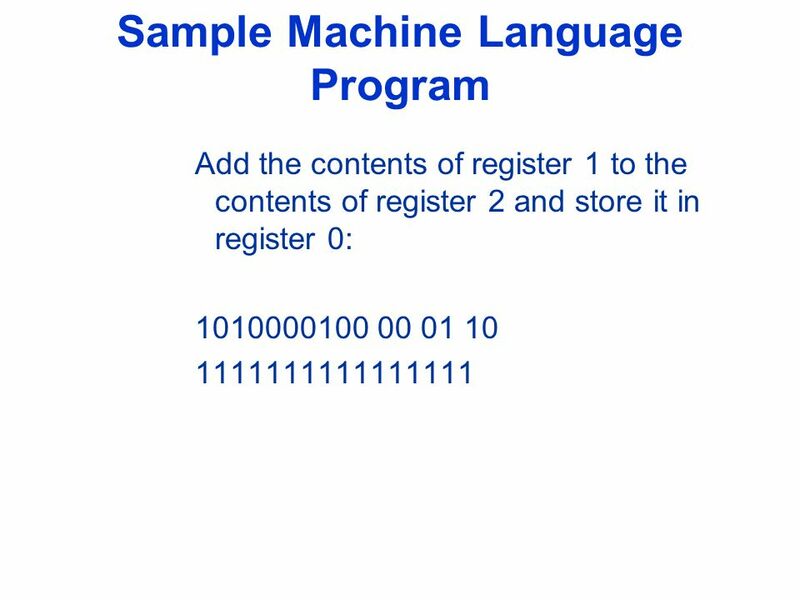  All commands need to be translated into binary instructions called machine language. 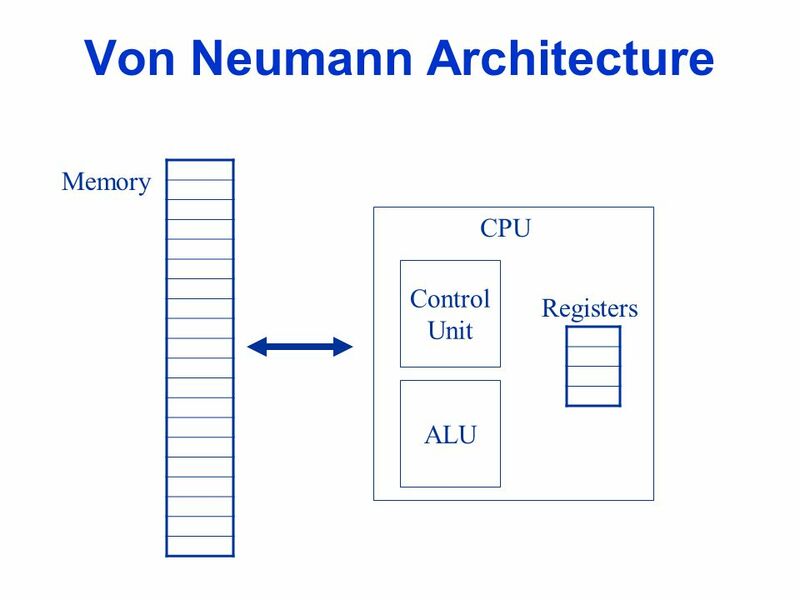 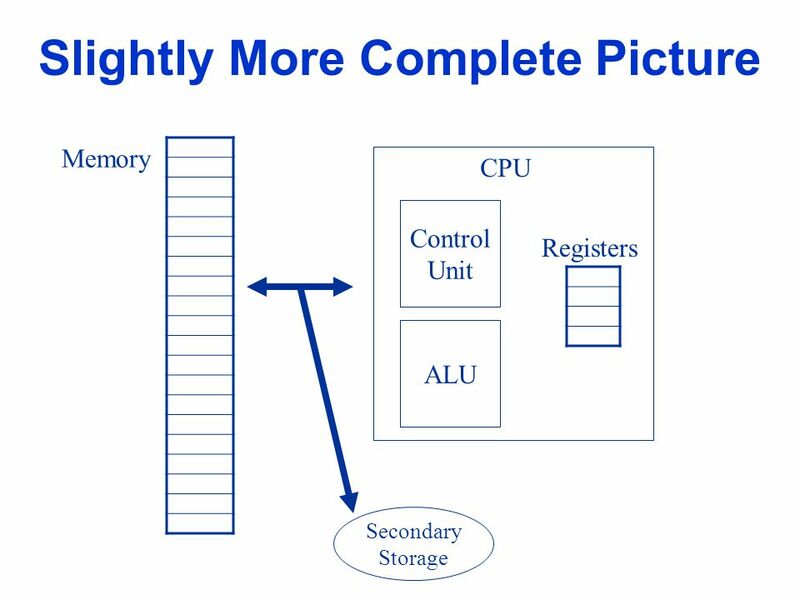 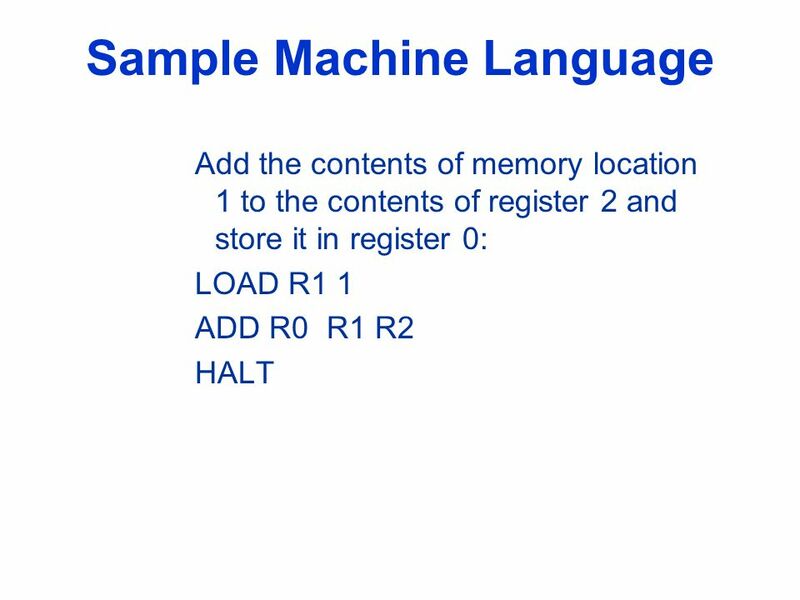  Each type of CPU has its own machine language. 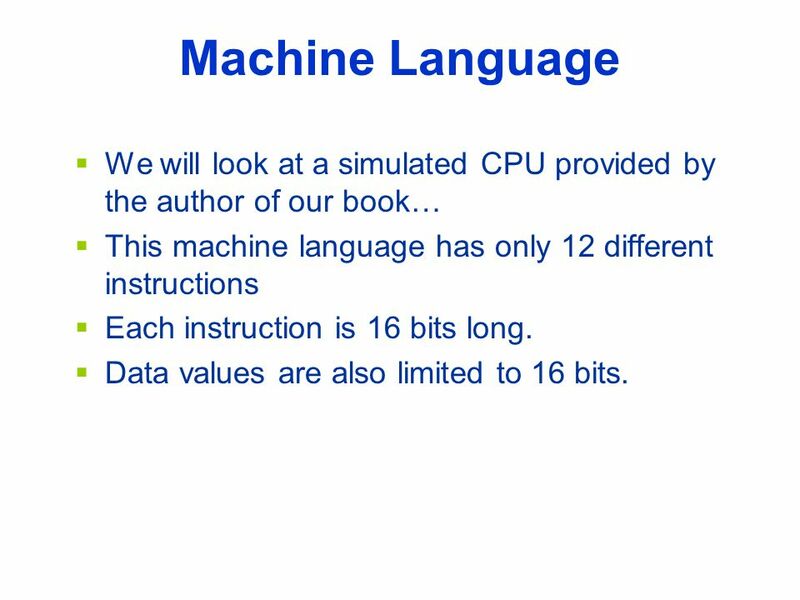 6 Machine Language  We will look at a simulated CPU provided by the author of our book…  This machine language has only 12 different instructions  Each instruction is 16 bits long. 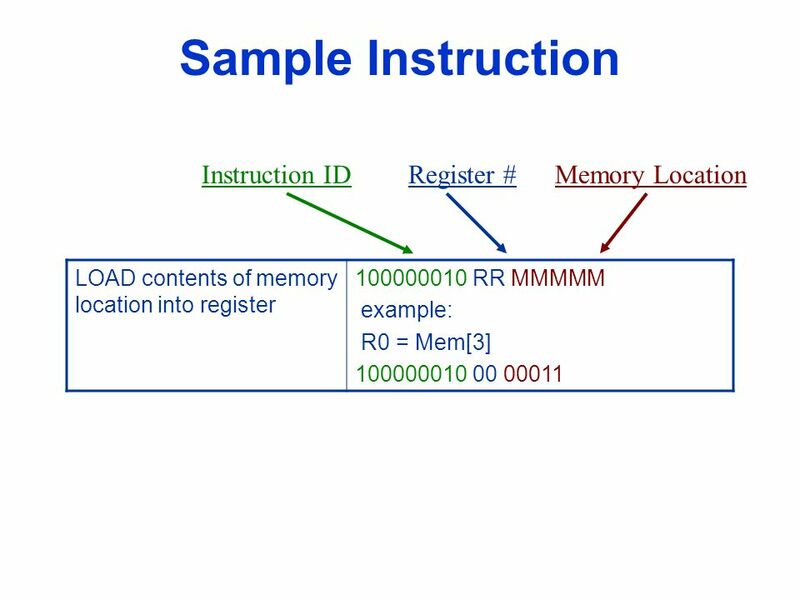  Data values are also limited to 16 bits. 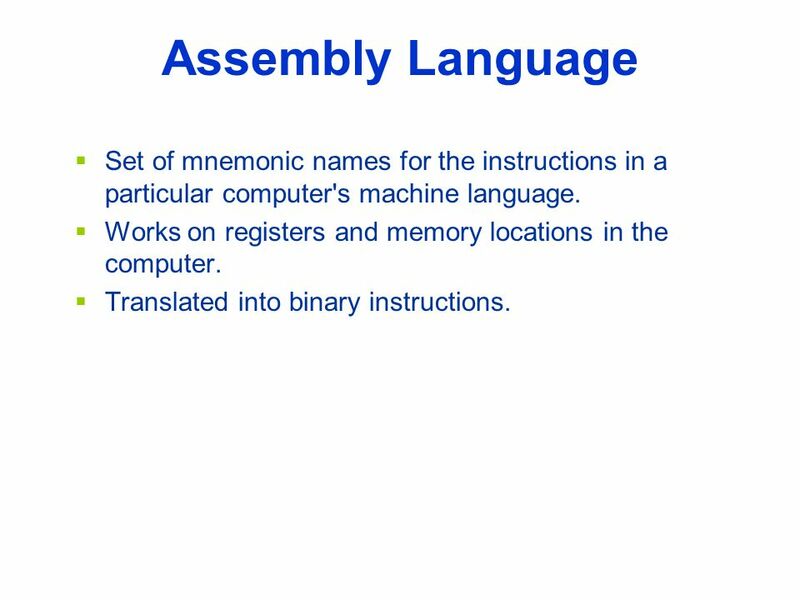 12 Assembly Language  Set of mnemonic names for the instructions in a particular computer's machine language. 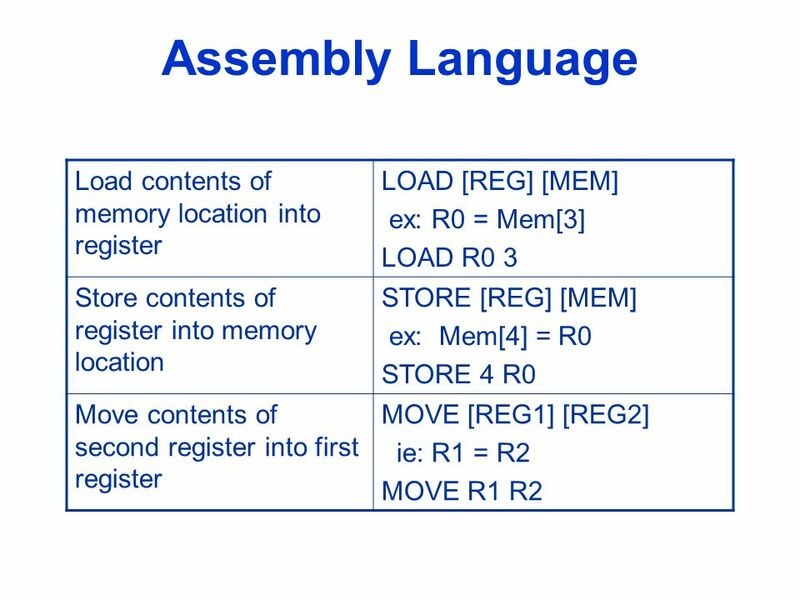  Works on registers and memory locations in the computer. 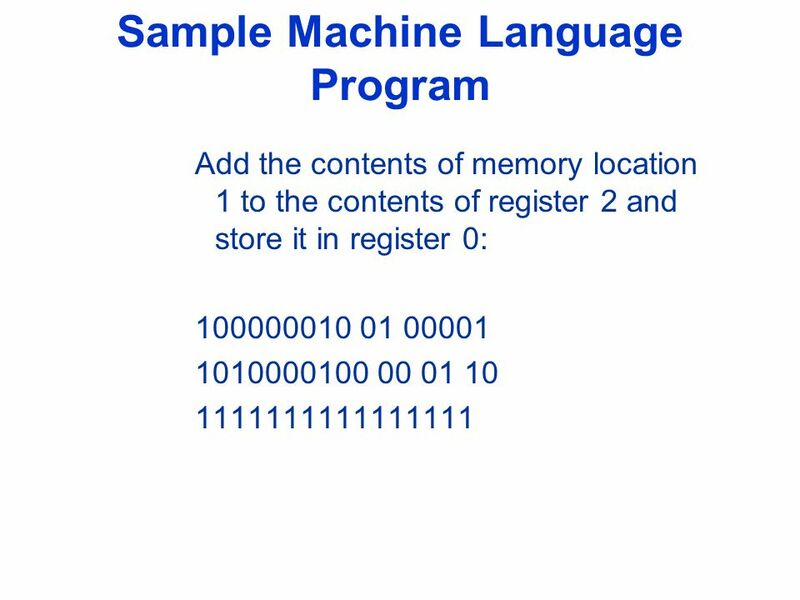  Translated into binary instructions. 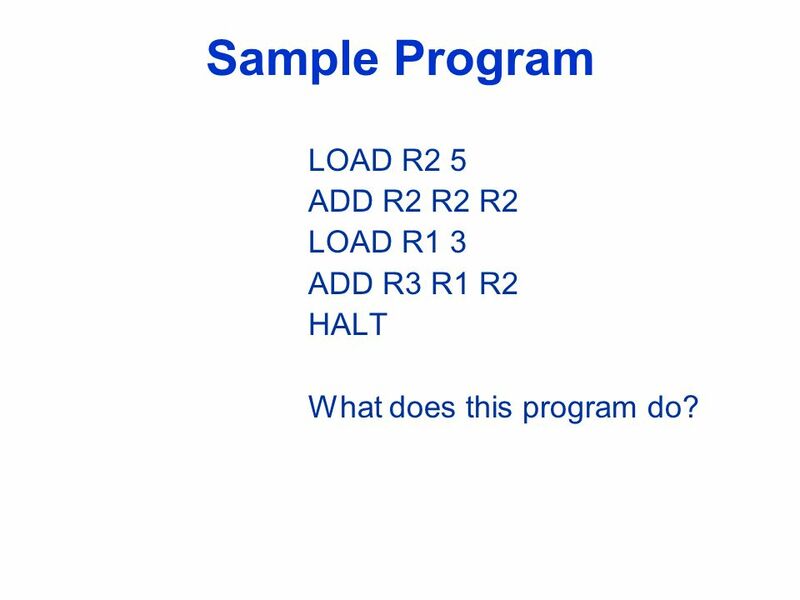 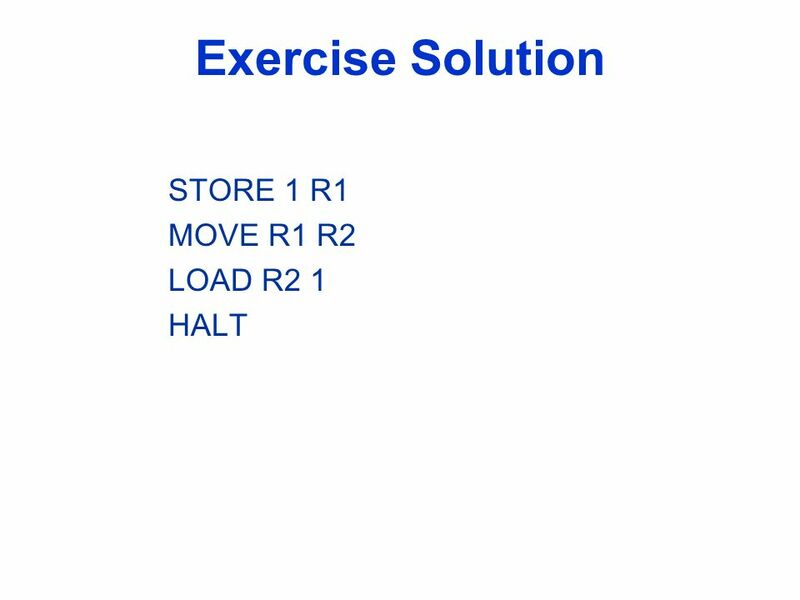 17 Sample Program LOAD R2 5 ADD R2 R2 R2 LOAD R1 3 ADD R3 R1 R2 HALT What does this program do? 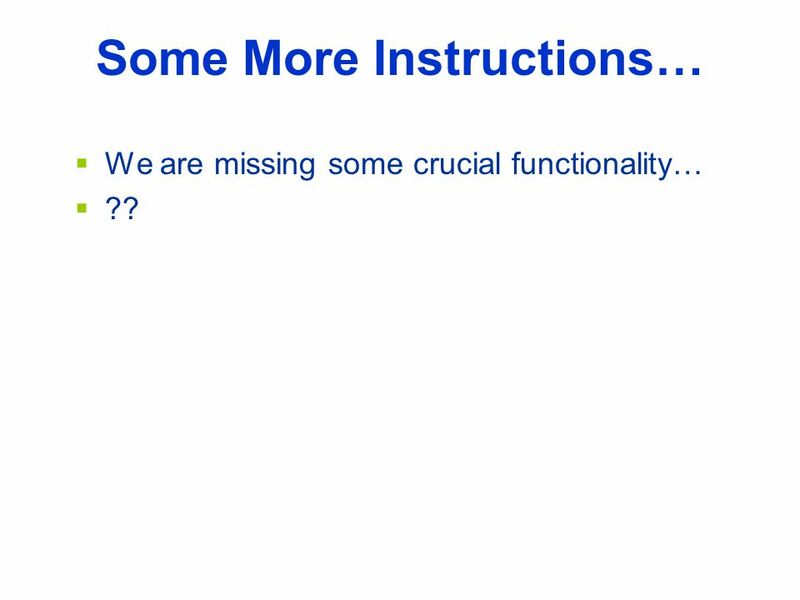 22 Some More Instructions…  We are missing some crucial functionality…  ?? 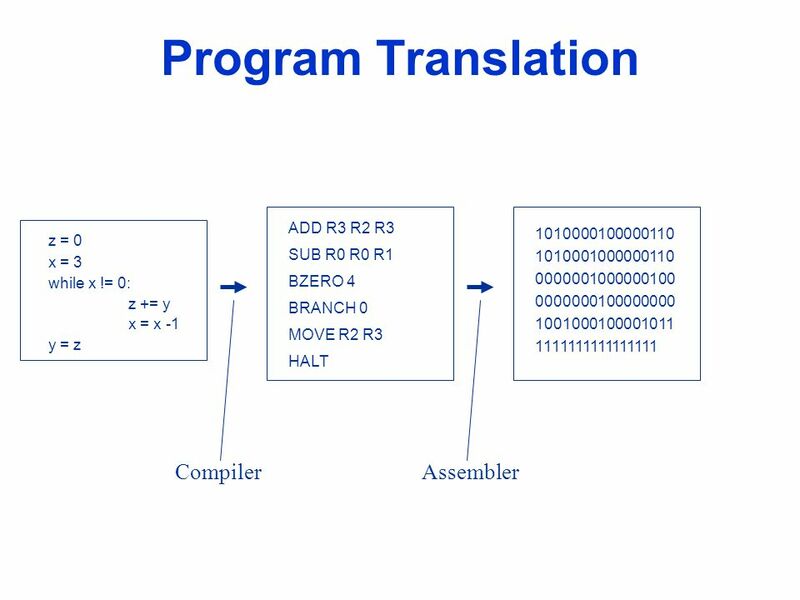 26 Compilers, Interpreters, Assemblers  Because it is not fun to program in Assembly, we have “high level” programming languages. 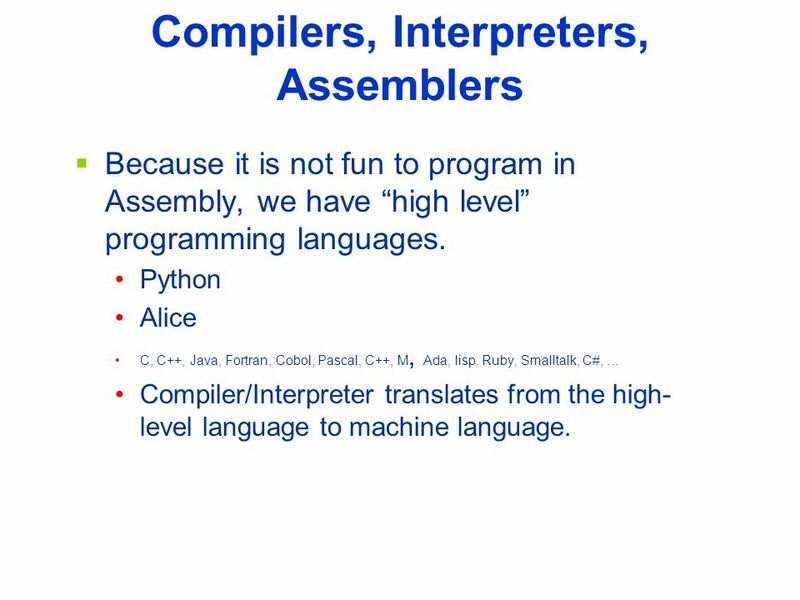 Python Alice C, C++, Java, Fortran, Cobol, Pascal, C++, M, Ada, lisp, Ruby, Smalltalk, C#, … Compiler/Interpreter translates from the high- level language to machine language. 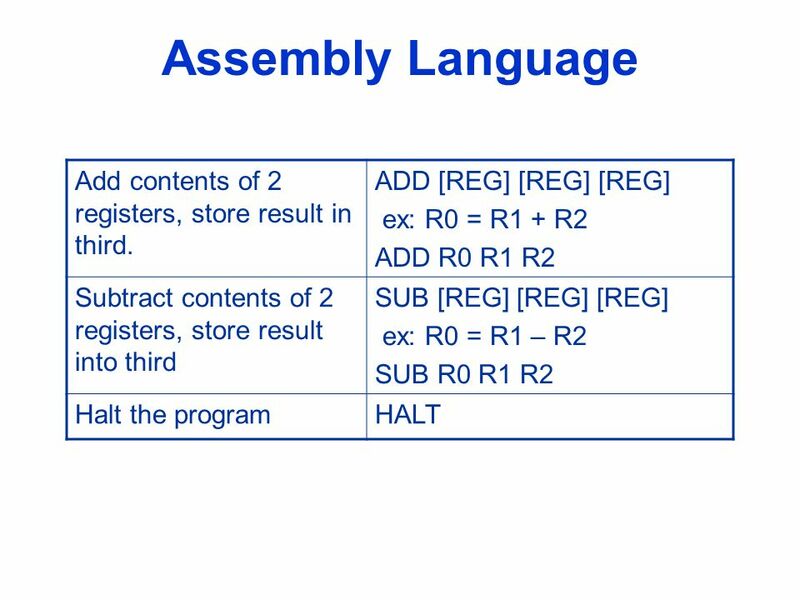 Download ppt "Machine & Assembly Language. 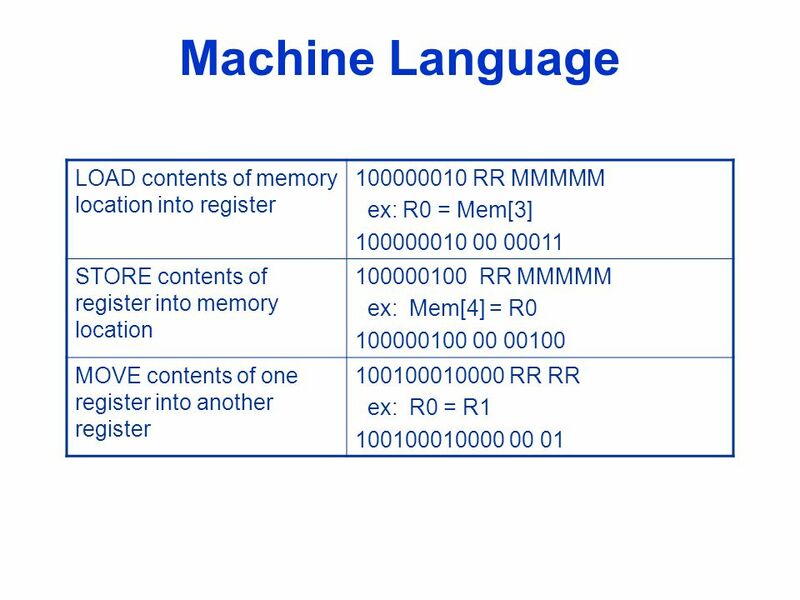 Machine Language  Computer languages cannot be read directly by the computer – they are not in binary. 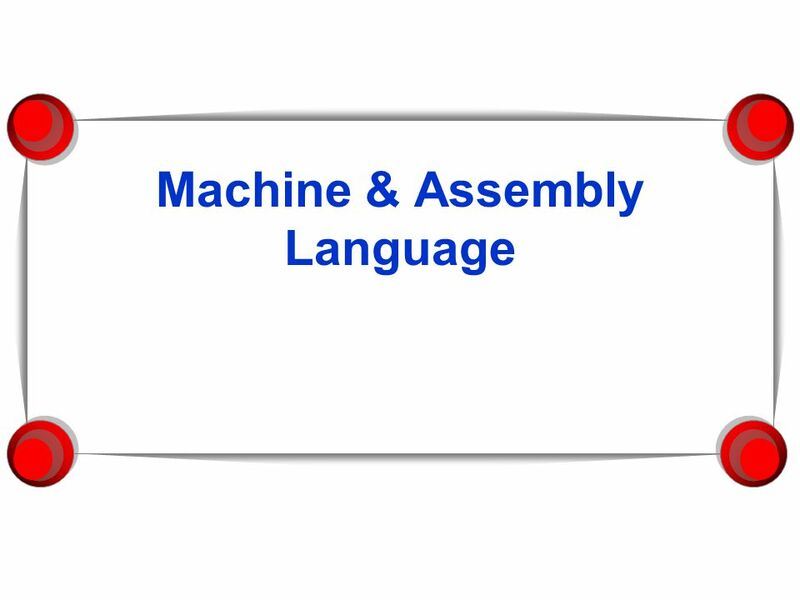  All commands need." 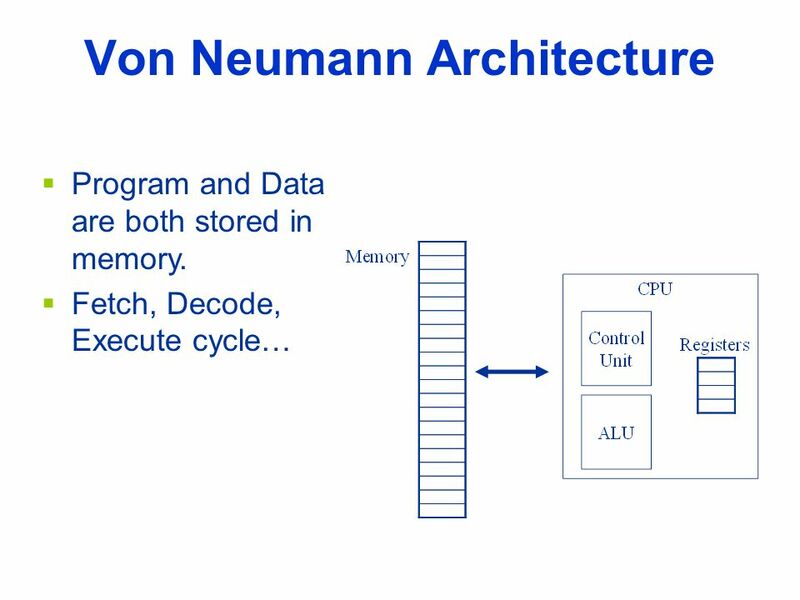 By Praveen Venkataramani DESIGN OF A 16 BIT RISC MICROPROCESSOR USING MULTI-CYCLE DATA PATH. 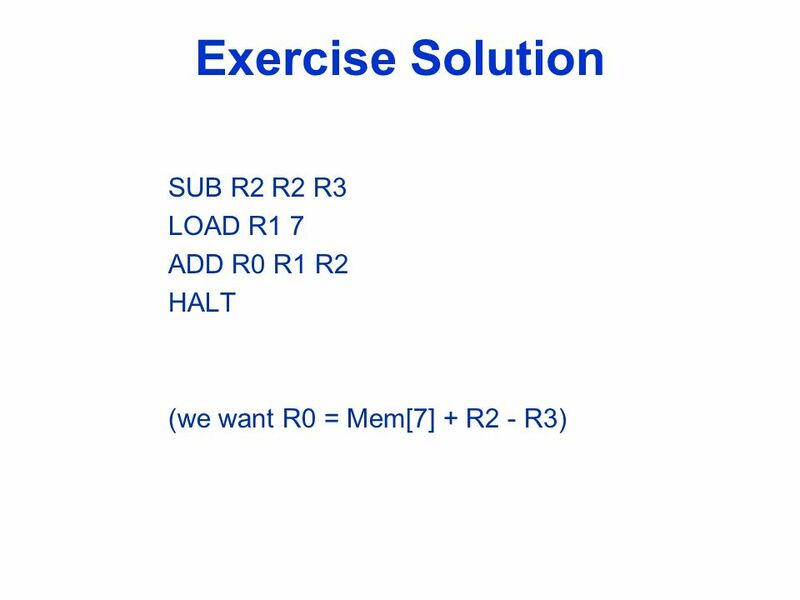 Slides created by: Professor Ian G. Harris Efficient C Code  Your C program is not exactly what is executed  Machine code is specific to each ucontroller. 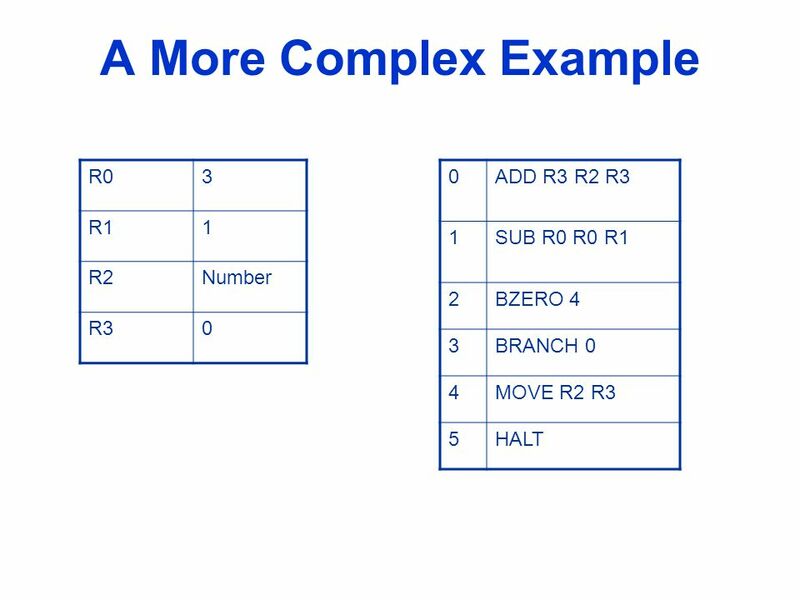 ITEC 352 Lecture 13 ISA(4). 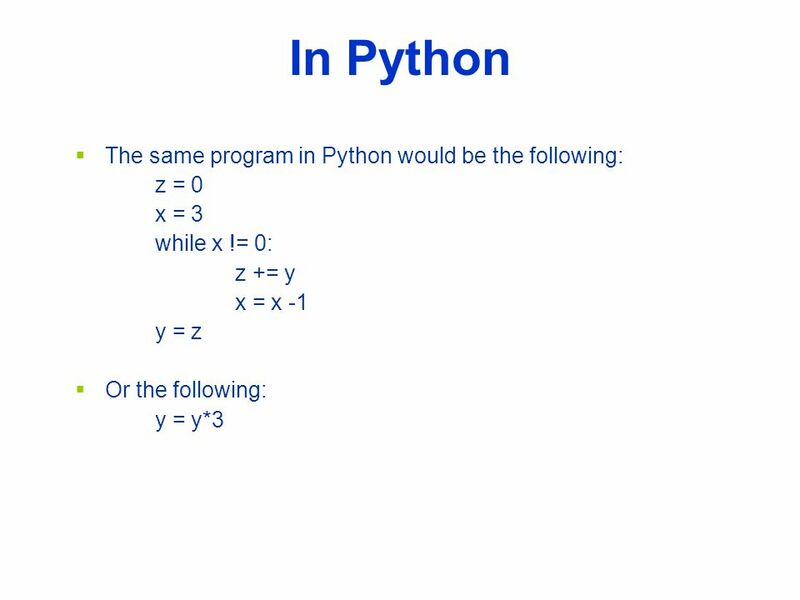 Dr. Ken Hoganson, © August 2014 Programming in R COURSE NOTES 2 Hoganson Language Translation. 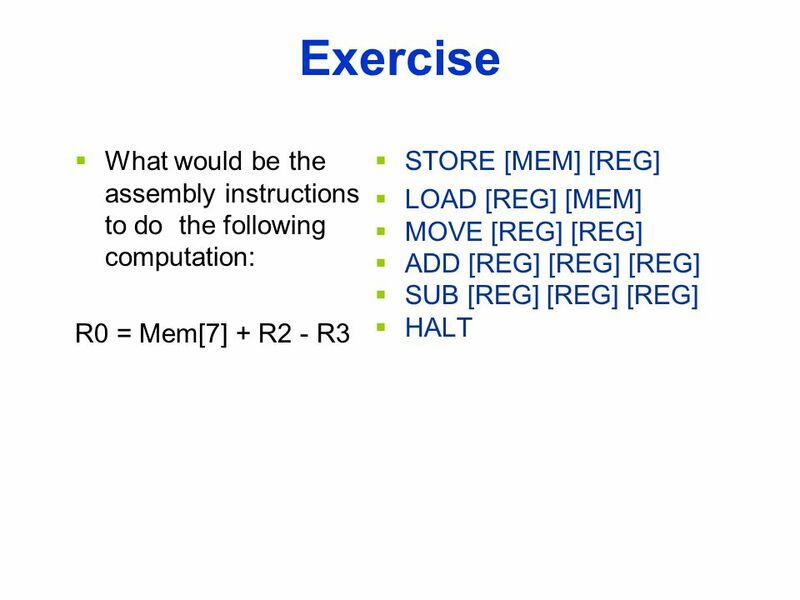 CSE115: Introduction to Computer Science I Dr. Carl Alphonce 219 Bell Hall 1.